Lawrence (Larry) Yap is a retired US Army ranger with over 30 years of martial arts experience. He received his black belt in Gracie jiu-jitsu from Rorion Gracie in 2013. He also earned black belts in Hapkido from Grandmaster Song S. Choi, and in Judo/Midori Yama Budokai Japanese Jiu-jitsu from Sensei Frank Barry. He has competed in amateur boxing (AAU and PAL) and Muay Thai (under Kru Takkratoke) since age 10. His wide-ranging fight experiences include all-service military Muay Thai bouts (Nakorn Si Thammarat) and U.S.-Thai friendship competitions (Lumpini and City Hall, Saraburi, Thailand). Larry wrestled at both the high school and collegiate levels at the University of Missouri. In 1989, he began his Gracie Jiu-jitsu training under Relson Gracie and Romolo Barros in the garage in Hawaii Kai and at the University of Hawaii, eventually earning his purple belt. In 1992, he began competing in no-gi, sambo, and MMA competitions (California, Las Vegas, Florida, Hawaii, UAE, Brazil, Thailand, Korea and Japan). Larry retired from competition in 2000. Today, thanks to Bill Odom, Rorion, Ryron, and Rener Gracie, and the rest of the NKA/Gracie Jiu-Jitsu Academy family, Larry is back in the game and committed to improving his teaching skills as an NKAGJJN instructor, certified Gracie Jiu-Jitsu Academy black belt instructor, and MMA coach. Larry is a Chesapeake resident and the father of two Grassfield High School graduates. William O. Odom, an 8th degree black belt, is an accomplished martial artist with over 50 years experience as a Tang Soo Do practitioner and instructor. He traces his martial arts lineage to some of the world's most respected masters. He began martial arts training in Thailand at age ten and developed his foundational skills under the tutelage of James K. Roberts, Sr. in Springfield, Virginia. 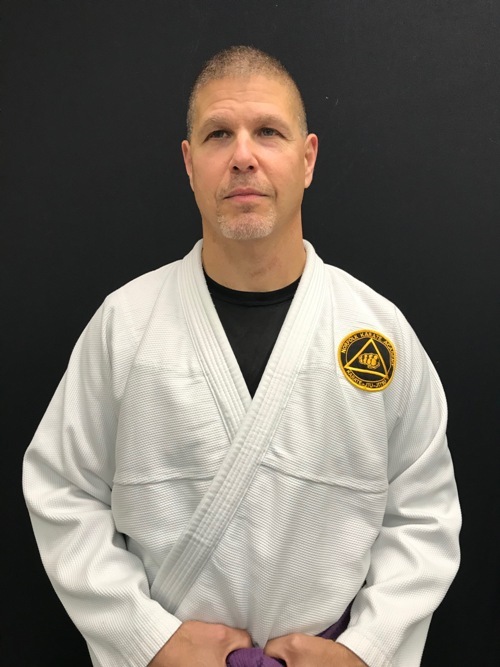 Mr. Odom continues his martial arts education with regular training sessions at the famous Gracie Jiu-jitsu Academy and is currently a brown belt jiu-jitsu student of Rorion Gracie and his sons. He established the first Gracie Jiu-Jitsu Certified Training Center and is a certified Level 3 instructor. Today, he possesses the experience, knowledge, skill, mature judgment, and commitment to excellence found only in the best instructors. He is a Norfolk resident and father of two, including a graduate of Maury High School. Mr. Odom is committed to the positive growth of every student at NKA-GJJN and to the growth of the community. Kevin West - Senior Karate Instructor Kevin West is a 4th degree black belt in Tang Soo Do, certified through the World Dang Soo Do Association. 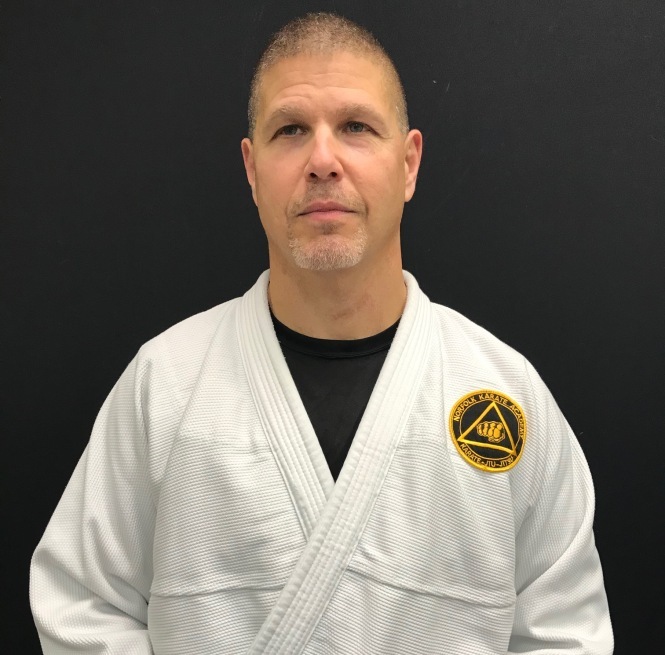 He has over 35 years of experience in martial arts training including a 3rd degree black belt in Black Dragon Kung Fu, a brown belt in Tenshin Style Aikido and a blue belt in Gracie Jiu Jitsu. He has also trained in Valencia Lameco Eskrima, Muay Thai, Wing Chun, and Yang Style Tai Chi. His aikido, eskrima and kung fu training has included staff, spear, sword, stick and knife. Between 1990 and 1993, he competed in amateur and professional kickboxing. Kevin emphasizes the development of fundamental skills, practical self-defense, and improvised technique. Kevin teaches the intermediate level children's karate classes and adult karate classes. Aubrey Odom is a 3rd degree black belt in Tang Soo Do, certified through the World Dang Soo Do Association, and is a four stripe blue belt in Gracie Jiu-Jitsu having been one of the first six students in the world to have completed the Gracie Combatives® course outside of the Gracie Jiu-Jitsu Academy in Torrance, California. She is the Course Director for the PeeWee, beginner, and intermediate children's classes and is a co-director for the annual NKA children's summer camp. She is also a Women Empowered course instructor. Aubrey has a Masters Degree in Special Education and worked for ten years in the Norfolk Public School System before assuming full-time administrative duties at NKA/GJJN. Mark Ammerman is a Gracie Jiu-Jitsu two stripe blue belt and a certified instructor through the Gracie Jiu-Jitsu Academy. He is the senior defensive tactics inspector for state's Division of Criminal Justice Services (DCJS) traveling throughout the state observing law enforcement training. He teaches Gracie Combatives and Master Cycle classes. He is also certified to teach the Gracie Survival Tactics course and assists the Norfolk Police Department with defensive tactics training. Bernardo Figueiredo is a Gracie Jiu-Jitsu brown belt and a certified instructor through the Gracie Jiu-Jitsu Academy. He teaches Gracie Combatives, Master Cycle, and is the Junior Combatives Course Director. Jenn Taylor is a 2nd degree black belt, Gracie Jiu-Jitsu blue belt, and Gracie Jiu-Jitsu pink belt (Women Empowered certified instructor) at Norfolk Karate Academy. She is a certified Gracie Combatives instructor and is the Gracie Women Empowered and Bullyproof course director. She is married to NKA instructor, Brad Taylor. The Taylor's sons are first degree black belts at NKA and have earned their Gracie Jiu-Jitsu blue belts as well. Brad Taylor is a 1st degree black belt at Norfolk Karate Academy. He was one of NKA's first students to compete in full-contact mixed martial arts. Brad was also one of the first students at NKA to earn his blue belt in Gracie Jiu-Jitsu and was among the first certified Gracie Combatives instructors. Brad's wife and two kids have also earned black belts at NKA and blue belts in Gracie Jiu-Jitsu. Brad was the first person in the world to train and promote two U.S. Navy sailors to blue belt through the Gracie University while at sea. He currently teaches Gracie Combatives. Mark Campbell is a Gracie Jiu-Jitsu purple belt and a certified instructor through the Gracie Jiu-Jitsu Academy. He has competed in local grappling and mixed martial arts competitions. He teaches Gracie Combatives and Master Cycle classes.